Having TXU Power outages today? The issues are not so often but they do occur so, if you are experiencing problems today connect here to see what is happening. 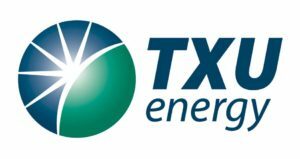 TXU is Texas Electricity Company which was founded in 1921 and until 2007 it is known as TXU Power after that its name changed to Energy Future Holdings. The prime source of power generation is through coal and nuclear power plants. If you today want to report a TXU Power outage, flickering lights, dim lights or any other emergency situation then you can contact the customer service. For TXU Power outages you can make queries at these phone numbers for Dallas/Ft. Worth and Surrounding Areas contact Oncor Electric Delivery at 888-313-4747; For Lewisville and North Texas Contact Texas-New Mexico Power Company at 888-866-7456; For Houston and Surrounding Areas Contact CenterPoint Energy at 713-207-2222 or 800-332-7143; And Texas-New Mexico Power Company contact is 888-866-7456, For South Texas Contact AEP Texas Central Company at 866-223-8508; For West Texas Contact AEP Texas North Company at 866-223-8508; Or Oncor Electric Delivery at 888-313-4747 OR Texas-New Mexico Power Company at 888-866-7456; For Sharyland Contact Sharyland Utilities at 956-668-9551. If today you are visiting here due to any other reasons and have other issues beside power outages, then you can submit a report here. The most common problems which are reported here are related with login, online bill payment and some other issues regarding meter readings or short circuit. 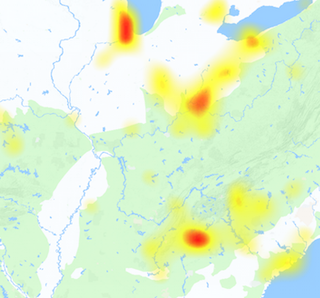 @msvictoriaroses Locate your TDU at https://t.co/MzIHVsVZ8K to report the outage. Please email TXUECares@txu.com if we can assist further. @rosehtx_ Has your power been restored? Be sure to call your local utility when lights go out. Visit https://t.co/OFs1KZHCb6 to learn how. @GarciaSandraaa Lights out? Contact your local utility. Visit https://t.co/sE4u9qYPnP to find out how. @gryphon011070 We're glad @oncor could help with your family's outage concerns. For more power outage tips, visit https://t.co/sE4u9qYPnP. @CcrodrRodriguez When the power goes out in the middle of the night, call your local utility for help. Learn how at https://t.co/OFs1KZHCb6. @J_DUB1998 Nobody likes a power outage, but when it happens, contact your local utility for help. Learn how at https://t.co/sE4u9qYPnP. @lauraspecs Yikes! Be sure to let your local poles & wires company know when lights are out; learn how at https://t.co/sE4u9qYPnP. @KillamHunter In the meantime, we'd encourage you to check on elderly neighbors and those with special needs (https://t.co/sE4u9qYPnP). @dfishman1969 Your local utility is responsible for outage repairs; find their contact info at https://t.co/sE4u9qYPnP or on your bill. @SilentKnight_87 Lights out? Contact your utility. Visit https://t.co/sE4u9qYPnP to find out how. @Sohanstag Nobody likes a power outage, but when it happens, visit https://t.co/sE4u9qYPnP for information.